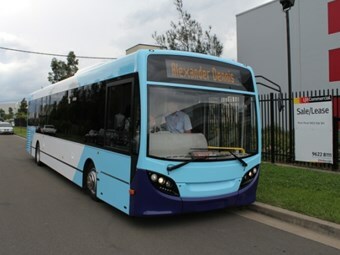 The Enviro200 from Alexander Dennis is one of the world’s top selling midi-buses. Now it's tackling the local route service marke. The Alexander Dennis Enviro200 is one of the world's top selling midi buses and now it's making inroads in Australia. With a long service life one of the key motivators behind bus purchase decisions, having a design DNA that stretches back 25 years is a big advantage. Alexander Dennis launched the original Dart midi-bus in 1988 following London Transport's 1984 decision to deregulate routes, allowing operators to run smaller buses in areas that had not previously enjoyed a public transport service. The Dart quickly became an operator favourite, with multiple options in terms of wheelbase and seating capacity, and spawned a succession of derivative models, culminating in the Enviro 200 that is now available in Australia. Interestingly for a European designed and manufactured product, the Enviro uses an all-American driveline of Cummins engine and Allison transmission, eschewing even the renowned ZF gearbox for the well-sorted T280R 6-speed unit. 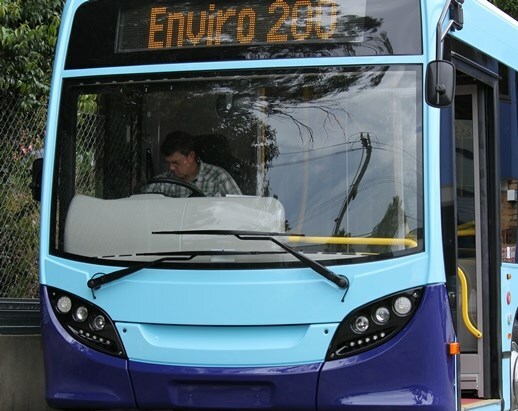 In fact, the Enviro 200 is something of a United Nations offering when it reaches Australia, with British design and manufacture, an American driveline, European steering and braking components, all assembled in New Zealand by Kiwi Bus. Alexander Dennis Technical Sales Manager Andy Boulton says the Cummins-Allison driveline provides flexibility, allowing for components to be picked to build the 'perfect' bus. "We are specialists in systems integration, and we are specialists in building a right-hand drive bus," he says. As if confirming Alexander Dennis' pleasure at selling more than 15,000 Dart variants since its launch, the Enviro front end resembles a grinning face, with lower bumper section curving upwards to frame the fascia. Using a mix of glass reinforced plastic (GRP), aluminium and ABS plastic panels, the body shell sits low to provide the driver an exceptional field of view, particularly through the enormous front windscreen. Boulton says the body frame is also aluminium for a mix of torsional rigidity and low tare weight, keeping the A-pillars thin, so that a toughened glass panel sits between the pillar and door frame, helping eliminate blind spots for the driver. With such an extensive history to draw on, Alexander Dennis designers have avoided radical modifications to the Enviro, instead presenting a well-thought out model with a number of 'tweaks' drawn from previous experience. These include the unique pivot mounting for the high-set kerbside external mirror, using shear bolts to secure the brackets to the body. Boulton says this allows the mirror to be knocked off by low-hanging road hazards, such as tree branches, also reducing the potential for bodywork damage. Where body damage does occur, Boulton says the use of bonded panels means the damaged sections can be removed quickly and new ones fitted to minimise downtime. The overall fit and finish is good. Despite stormy conditions during the test there were no body leaks or wind noise, with draughts also eliminated during the manufacturing phase. The command centre sits on a raised plinth above the flat floor. Boulton says a security door can be fitted on request, depending on the specific fit-out of the ticketing machine and other requirements. The driver's seat is an Isringhausen 6860 air-suspension unit, with integrated three-point seatbelt for both comfort and safety, although despite a right-hand drive configuration the seat belt was mounted on the driver's left. Boulton says while the Enviro has a standard dash ex-factory, specific customer requests can be accommodated to ensure driver familiarity when moving between buses. The driver's display contains large tacho and speedo dials, with smaller gauges for fuel level and engine temperature. All other readouts form part of the vehicle information system colour display. These can be programed to suit individual preference, with an alarm over-ride displaying readings if they go outside standard parameters, such as low air pressure or oil levels. The steering wheel is adjustable for both height and reach, always a bonus for bigger drivers. The demonstration bus was fitted with an unusual three-spoked unit, although a two-spoke unit is available as an option. The 'factory' control panel was clearly marked and easy to understand. After just a few minutes of driving the major controls fell to hand quickly and comfortably. While functions such as door opening and the suspension raise and kneel took a second glance, in reality a route driver would soon adjust. Once again, 'fleet specific' dashes can be fitted on request. More importantly, all functions operated as required, with doors opening and closing quickly and quietly, while the air suspension action was smooth, with no jerkiness in raising or lowering. Australian-spec buses are fitted with a Ventura glide-away entry door with an active seal, creating a 920mm opening for ease of entry and exit with two card readers fitted so passenger loading should not pose any issues. There is also a fold-out ramp for wheelchairs and prams. With the air suspension in the kneel position the ramp angle was negligible against square-sided Sydney kerbing, while the central sliding exit door offers a big opening for passengers loaded down with bags or backpacks. The driver has an internal mirror that offers a good view of the passenger saloon, while the kerb-side mirror allows the central door to be monitored to ensure it is closed prior to departure, and that there are no body parts caught in the door. Despite its small size the driver's side external mirror also offers plenty of rearward vision, so that vehicles ignoring the 'give way' sign on the rear are easily spotted, reducing the number of accidental meetings, improving customer safety. For operators of midi-buses one of the big challenges is access to the running gear for routine maintenance, another area Boulton says the Dart lineage provides plenty of practical experience. "The Enviro 200 design uses the best elements of the Dart, based on customer feedback and also customer requests," he says. For this reason Boulton says the chassis has been future-proofed so that the next-generation Euro 6 engines will comfortably fit into the chassis rails without a redesign, along with any additional emissions control equipment. All major engine check points are easily accessed, including a sight glass for the radiator header tank and oil dipstick and filler necks. External start and stop buttons are fitted in the engine bay, to save mechanics walking back and forth when carrying out checks or adjustments, with an emergency stop button for immediate shut down. 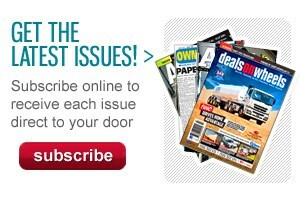 Australian-delivered buses will be fitted standard with a Thermo King SR70 air-conditioning unit. The demonstration model has a twin-belt drive pulley running from the crankshaft although Boulton says production units will use a single, wide serpentine belt. In line with the recent State Transit Authority (STA) regulation the Enviro 200 can be fitted with a Fogmaker fire suppression system, although Boulton says this will be fitted by Fogmaker when the buses arrive in Australia. To prevent unauthorised use the starting procedure is complex, requiring a number of settings to be confirmed before the engine will fire up. With more than 10m between the driver and the well-insulated Cummins ISB engine, the only indication it is running is the tacho needle and a slight vibration through the floor. The Allison T280R includes a multi-stage hydraulic retarder to supplement the all-wheel disc brakes. Interestingly, it is rigged to the brake pedal so that the first 25mm of travel actuates the retarder only. Boulton says this is common practice in the United Kingdom, compared with the Australian practice of the retarder activating when the throttle pedal is released, and is intended to reduce brake pad wear. 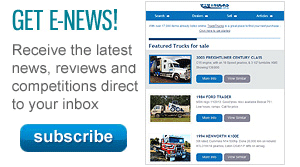 Australian operators can request the retarder activation be reversed in line with other fleet equipment. Regardless of the activation, the Allison retarder offers plenty of stopping power; even on a mid-level setting speed is quickly reduced, allowing drivers to moderate the road speed quickly without causing discomfort for passengers. The transmission uses the standard Allison touch pad to select gears, and also includes the lock-out function for steep descents or other speed-limited situations. The driver gets a left-side footrest, leaving plenty of room on the right for accelerator and brake functions without crowding the foot well. There is a slight hesitation on the accelerator initially, almost as if to check the driver really wants to drive off, however a firm foot ensures the bus gets moving on request, without hurling passengers around in their seats. As previously mentioned, the brake pedal also activates the retarder, requiring a rethink compared with other models, even using similar drivelines, so that the driver 'shadows' the brake pedal and gives it a few gentle prods to control the road speed. 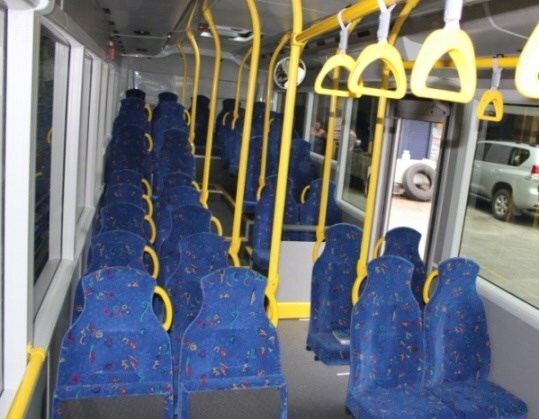 The steering has an unusual feel, and lacks the same level of tactility as some other buses, although there are no dead spots and it remains predictable at all times. Most importantly, drivers can line up on kerbs quickly and easily, while inconsiderately (and illegally) parked vehicles are not a problem; the Enviro can swing in and out of a crowded stop easily and accurately. Modern power steering units ensure the physicality of driving is greatly reduced. 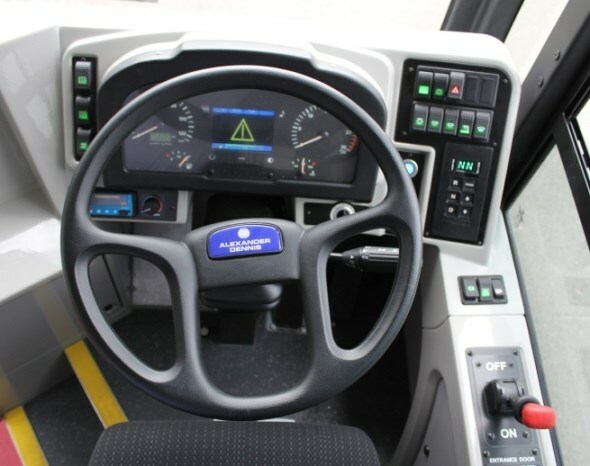 While some may miss the old days of man-handling buses around corners, the modern reality is that fatigue is eliminated and drivers can concentrate on what is happening around them. That Alexander Dennis has decades of bus design experience shows clearly with the Enviro 200, which is only one branch of a very crowded family tree, including higher GVM and hybrid drive offerings among others. What it also shows is how the Australian market has morphed away from the days of Leyland, thanks to offerings from Europe, Japan, Korea and now China, introducing different design elements and expectations. Without doubt the Enviro 200 is a very capable midi-bus, however, operators will need to be specific with their requests to ensure fleet inter-operability with other models. Given the overall quality of the product it is unfair to criticise for doing things differently, however when selling into a new market it is important to ensure the offering meets the need, not the other way around. Although small, it is issues such as how the retarder is rigged to activate that can make the difference in sales. Search for new Alexander-Dennis specs.